13.56 MHz based interface that meets ISO 14443A (MIFARE®) standards. The ability to read 32 bit MIFARE serial numbers. Advanced key management systems to reduce the risk of compromised data or duplicated cards. A Wiegand output that easily interfaces with most existing Wiegand protocol access control panels. Compact and Elegant. Easily installed on walls and doors. A factory configurable bi-color LED bar and multi-tone buzzer that provides distinguishable indicators. 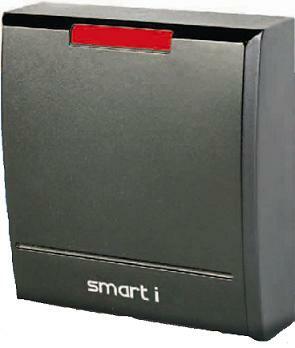 SmartRID is MIFARE® based smart card reader. Smart reader makes access control and read applications more powerful, more versatile, and most importantly offers enhanced security through encryption and mutual authentication.